According to Eanet and manzo (1976: 647-652) REAP is a strategy for helping readers read and understand a text. Allen. 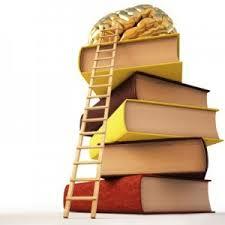 J (2004) REAP is an acronym for Reading, Encode, Annotate and Ponder. As students go back to the text for each stage of REAP they will consider the text from a different vantage. Each stage asks the student to analyze the text at a higher level to increase and deepen comprehension. Manzo (1975) REAP is designed to improve thinking, the underlying musculature for active reading and meaningful writing. The idea for this reader-writer exchange system was proposed some time ago as a means of improving and supporting a national content area reading and writing project essentially for urban schools. REAP develops independent reading skills by encouraging the reader to put the information of the passage into his/her own words, both orally and in written form. It can be employed as a study technique, thereby assisting long term memory. REAP primarily is a cognitive-enrichment approach that teaches students to think more precisely and deeply about what they read. b. With whom can it be used? REAP is an effective strategy for students in grades four through high school. Because it is a multisensory approach to learning its effectiveness is enhanced. It is particularly beneficial for students with learning problems because it encompasses analysis and synthesis. The teacher should begin with easy reading materials. Students will require practice in determining the message or main idea. Several examples should be examined and critiqued. The teacher could model the process by thinking out loud. Students will find it useful to share annotations in pairs or small groups for evaluation, clarification and further development. Belum ada tanggapan untuk "Reading, Encode, Annotate and Ponder (REAP) Technique"